Google Drive. Silently taking ownership of your content. I’m just astounded that people still use Google Drive, despite the jaw-dropping news about their insidious privacy policies on content you post to the service. In a nutshell, if you use Google Drive, you give Google the right to use your content in anyway they see fit – including giving it to partners. It effectively shreds any implicit privacy you might otherwise expect from a commercial online service. The Venetian Casino Marketing comp offers are BACK. If you recall back in 2011, Sheldon Adelson, the owner of Sands Resorts & Casinos, (a.k.a. the Venetian & the Palazzo hotels in Las Vegas) SHUT OFF everyone’s juice. 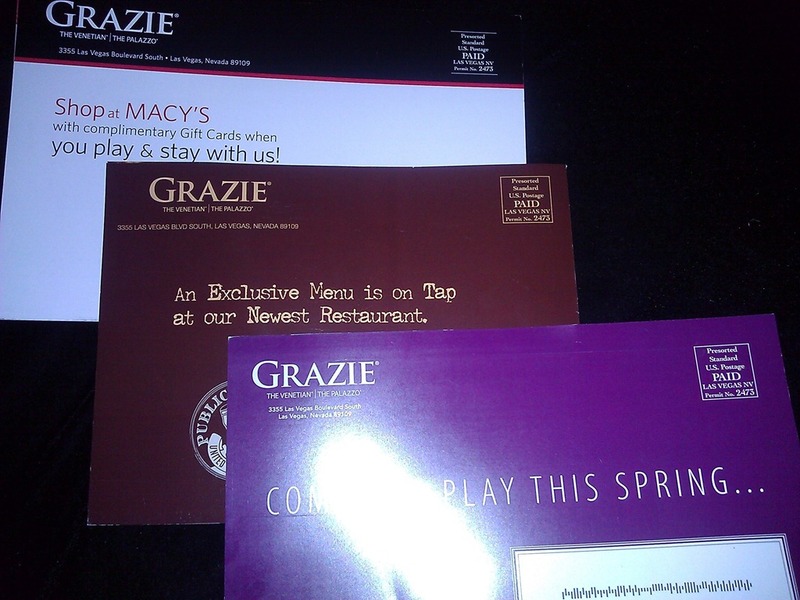 Their player loyalty program, “Grazie”, all of a sudden became utterly WORTHLESS. I called casino marketing to ask them for a couple nights based on my previous play and I was completely denied any respect. Understand that I play the tables with mostly black chips with a historical wager north of this due to my changing betting patterns so this came as shocking news. I posted to Facebook: “Eff you, Sheldon Adelson. I’ll take my shows, my dinners, my bar tab, my wife’s shopping, my spa appointments, & my table play elsewhere.” And with that I refused to go back in any capacity… & I haven’t played there since. Oh, I’ve been to Vegas since then for certain, visiting Encore, Aria, Hard Rock Hotel, Monte Carlo, Cosmo, and Mandalay Bay (several times)… but never the Venetian or the Palazzo. And additionally, I told my wife to not hold any business events on Sands property. They jacked my loyalty account so I’m jacking my loyalty to them. Go “sell” your f’ing rooms to someone else. I opened my mailbox a few weeks ago. WHOA. An offer. Okay, not that big a deal right? What is the offer? It’s the standard 3 night deal with table match play matching my rating back at the end of 2010. And a few other bennies to boot. This is significant from the perspective that they actually kept my rating from over a year ago when they halted all comps to mid-level players. Which is fascinating because they used to WIPE the slates annually. It’s as if they froze time and decided to unfreeze it in the last month. Then a couple weeks later, another offer. Then just today, another offer. They’re all different (one’s got a shopping bennie, another is a dinner comp, etc.) but all have roughly the same street value but target different months. WTF? Where did all of this come from? Now the sinister side of me thought, “AHA. Vegas is sucking so badly that Las Vegas Sands must have reneged on their original statement about “selling rooms” and instead is just trying to get butts in rooms to play the slots. For those of you aren’t good at reading graphs, this is roughly 50% growth over 4 months. GULP. 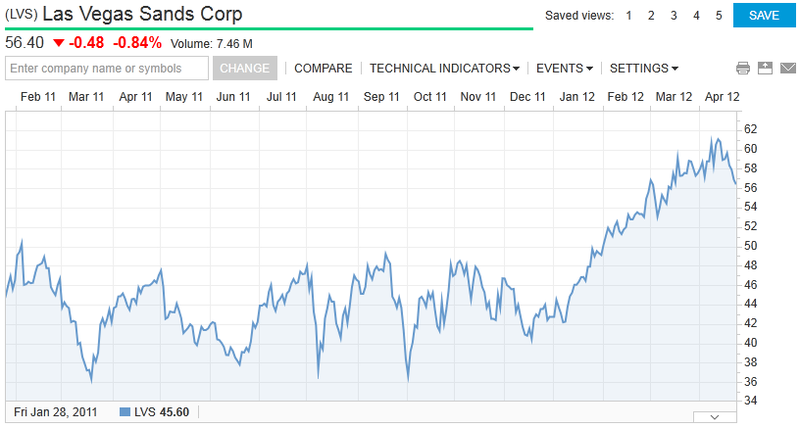 Business has been gooooooood at Las Vegas Sands. I must assume that this is the Chinese/Far East market that’s raking in the dough for Sheldon. After all, it ain’t Vegas. That being said, that doesn’t explain why Venetian/Palazzo suddenly turned the spigot back on on their comps and offers to mid-level players. The core gambler is returning to Las Vegas. At least, that’s what Michael Lawton saw when he looked at February gaming revenue reported across Nevada last week. As senior research analyst for the State Gaming Control Board, Lawton noted an increase in slot machine win on the Strip, which rose 10.3 percent in February — the 10th gain in the past 12 months. To him, that was a significant trend in a rebound for the state’s casinos and illustrated who was helping drive it. Slots weren’t the only game producing more revenue for casinos, either. On the Strip, blackjack was up 24.2 percent, craps 19 percent and roulette 20.2 percent. Although baccarat was down 18.9 percent, the increases from other games more than offset that loss. So I guess one would more likely believe that Las Vegas Sands is looking to capture that influx of players that are returning to Vegas to play, by incenting them with offers that had long been dormant. I’m still a bit bitter about Venetian pulling the plug. I had a lot of time logged at the tables there and they just dropped me like a bad nickel. Whoever was in charge of the virtual shutdown of the Grazie program did it with all the grace of an inebriated Frankenstein. But I’m taking one of the offers. And I’ll play my requisite time… but no more. I have no more loyalty to Venetian/Palazzo. I’m kinda liking Mandalay Bay now. They’re not as ‘upper crust’ I suppose, but they have nice amenities, a great spa, a wonderful buffet… and more pleasant restaurants. Raffles Café, Red Square, Border Grill & Fleur rule. Install updates automatically when available. What a concept. Good job Adobe. 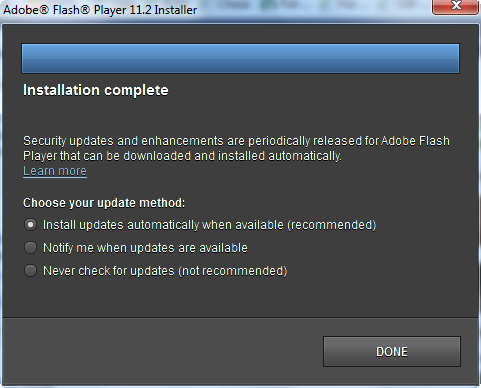 You added ‘automatic updating’ for your Flash Player updates in Flash Player 11.2. Why’d it take you so long? Was there a massive number of users that were begging to manually install Flash updates every time you publish them resulting in pop ups on everyone’s desktops worldwide? Well, with a resounding ‘FINALLY!’ the personal computing world can now work without getting interrupted every week with an Adobe Flash Update notification. No one knows how important it is to keep one’s software patched & updated to protect users from vulnerabilities and such but dammmmn dudes: If there was ever a constant reminder of how buggy Adobe Flash was, it was the perpetual stream of update notifications that everyone got monthly for 10MB PLUGIN. On every computer you use. The work desktop. The home office desktop. The family computer. The laptop. Blahblahblah. Well, that being said… it’s nice to see automatic updates implemented finally. So good job. 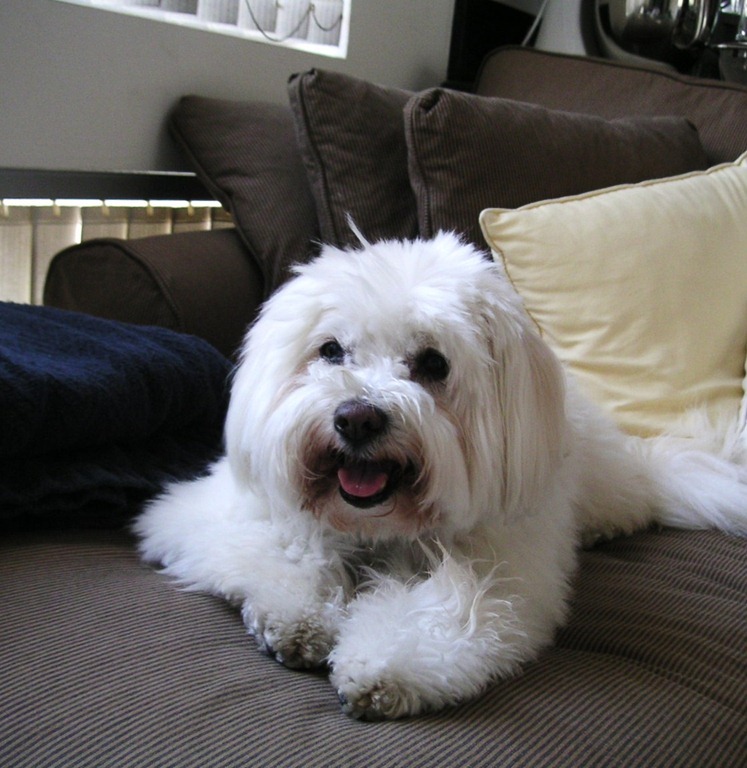 Give a homeless pet a new beginning this spring. Come meet hundreds adoptable dogs, cats, puppies, and kittens at the Los Angeles Pet Super Adoption event. Love animals, but can’t adopt right now? You can still help us save lives by forwarding this email, or printing out the flyer and posting it where you work or shop. Volunteers are always needed too, so come on out and help us! For details, please email volunteerla@bestfriends.org. Thank you for supporting events like the Pet Super Adoption. Every adoption brings us one step closer to a time when there are No More Homeless Pets®. We can’t wait to see you on April 28 and 29! Your friends at Best Friends Animal Society. I guess I just miss my friend. I hope you’re happy whereever you’re at now, Sheep. You are currently browsing the Kurt's Thoughts blog archives for April, 2012.